Microsoft is continuing its fight against the US government, which demanded the company hands over emails stored in its data center in Dublin, Ireland. The government agencies allege that some of the emails refer to the sale of illegal drugs, and a US court has ruled that the request to access them is legal. Microsoft has argued that the request infringes the sovereignty of Ireland and suggested that the US government takes additional legal advice on whether it can take this course of action on data held outside its territory, on ‘foreign’ servers. One of the reasons why Microsoft has taken this line is the obvious worry that if this data is handed over to the US, then customer data in other countries might be seized by less friendly governments using the same flimsy arguments – in other words, it would set a a dangerous precedent. Microsoft has repeatedly said in court that the US Department of Justice should not be allowed to claim data stored in a foreign country through the use of a US warrant. Instead, the government should be using the Mutual Legal Assistance Treaty (MLAT) which is in force between Ireland and the US. Microsoft’s legal team has also argued that the warrant which was served on them was the wrong legal instrument – it should have been a subpoena. The case has worried many digital businesses to the extent that some, including Apple, Fox News, Cisco Systems and the Guardian, have filed amicus briefs with the court, arguing the case could set a precedent for other governments to seize information held in the cloud. Quoted in The Guardian, counsel for Microsoft Joshua Rosenkranz said: “This is an execution of law enforcement seizure on their land. We would go crazy if China did this to us.” Microsoft argued that the emails are the customer’s personal documents and should remain so – handing them over would induce an international free-for-all, giving rogue governments an apparent right to raid email servers of US citizens. 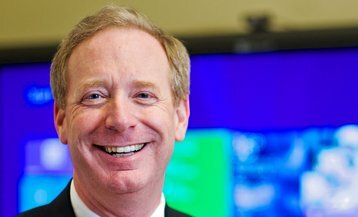 Brad Smith, Microsoft’s general counsel, has said on MENAFN.com that: “”Some public-sector companies say, ’I cannot put my data in the data center of an American company unless you win this case.’ I have had that said to me on multiple occasions.” Smith said this week that if it loses the appeal it will go to the US Supreme Court.